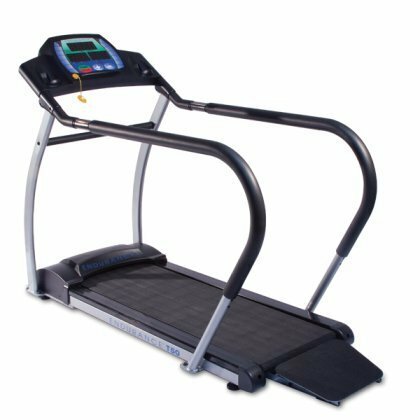 The Endurance by Body-Solid Rehabilitation Treadmill (T50) is a safe and reliable fitness option for those looking to rehab an injury. 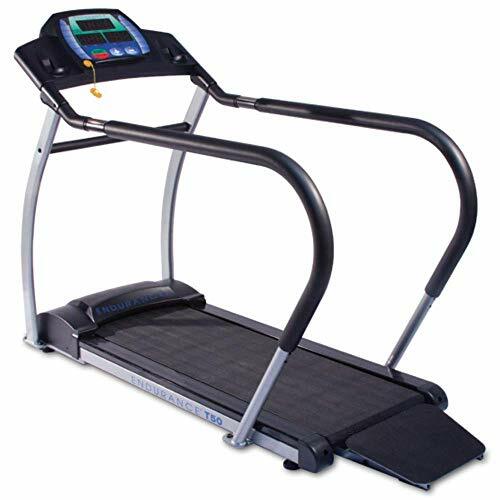 This treadmill is specifically designed without unnecessary and confusing programs for a simple yet functional exercise machine that anyone can use. It features an easy-access wide rear entry ramp and thick 18.9- by 53.0-inch orthopedic walking belt. 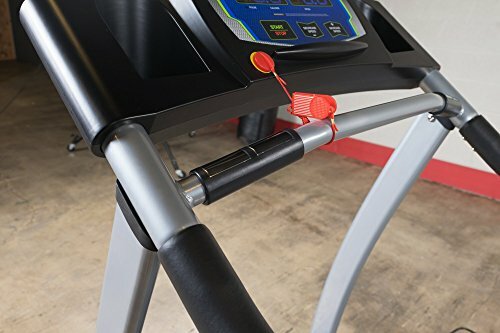 A padded 2-inch handrail extends the full length of the treadmill, and an ergonomically positioned contact heart rate monitor is located at the front of the machine. 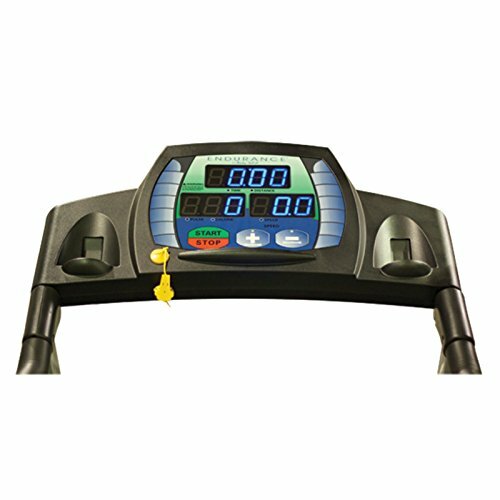 An easy-to-read blue LED display and three jumbo 1.75-inch information windows let you track time/distance, speed, and heartrate/calories. Oversized buttons make it simple to adjust settings, and speed intervals range from 0.1 mph to 5 mph in easy 0.1 mph increments. A pull-tether allows you to instantly cut power to the 1.5-horsepower motor. 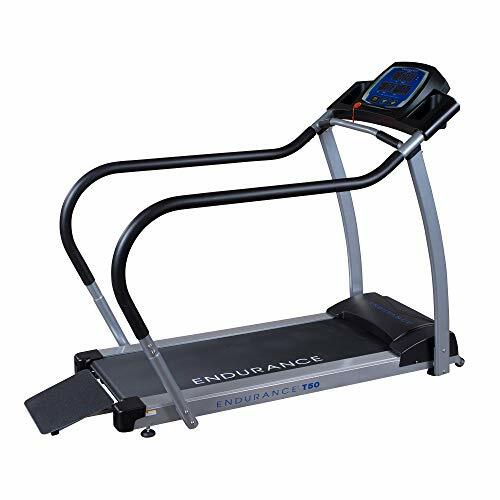 The Endurance by Body-Solid Rehabilitation Treadmill measures 77 by 30 by 54 inches (L x W x H) and weighs 162 pounds with a maximum user weight of 310 pounds. It is backed by the Body-Solid In-Home Warranty (lifetime frame; five years parts; one year labor) and Commercial Warranty (three years frame and parts; one year labor).